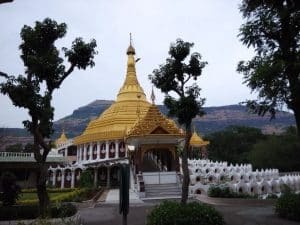 If you want to go on a spiritual journey, the best option is to visit all the best spiritual vacation destinations in India. I mean, for a spiritual vacation, India is definitely the place to go, right? Sure, the pyramids of Egypt are spectacular and deeply spiritual. The Northern Lights are a treat for the eyes (and soul). And Venice’s canals are simply irresistible. You can’t get better than a spiritual vacation to India. There are just so many spiritual vacation destinations in India. 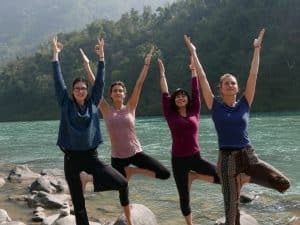 Take a vacation to India and you’ll be in the home of meditation, yoga, Ayurveda, the Ganges River in Rishikesh, the ghats in Varanasi, and oh good lord, the Himalayas. You can actually feel the spirit of India in the very air. It’s the home of Buddhism, Jainism, Sikhism, and Hinduism. . And the temples! I mean just look at these beautiful Buddhist statues and temples! India is the place to be. And a ton of excitement. But what are the best spiritual vacation destinations in India to visit? Let’s take a look. These are the top 5 spiritual destinations you will love on your spiritual vacation to India. The stunning spa and resort known as Ananada in the Himalayas is a dream to behold. This place is leading the tourist revolution in India. Here you’ll lose yourself in foothill of the Himalayas. You’ll indulge in all manner of spa treatments. You’ll get crazy-fit here too, fit in both body and mind. Weight loss, yoga, spiritual healing, meditation, detoxifying, massage therapy… Ananda is famous for them all. Without doubt, this is one of the best spiritual vacation destinations India has to offer. 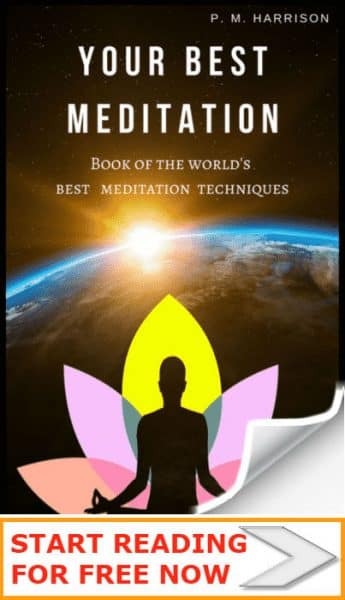 Here you will discover the true depth of spiritual healing. 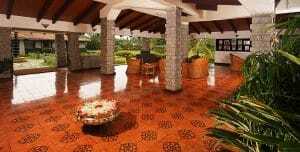 The wellness centre in Bangalore is famous for having a whole ton of different healing methods. The center includes Leech Therapy, yoga, meditation, nasal cleansing, a whole ton of different Ayurvedic practices and much more besides. Go here if you want your spiritual vacation to India to heal your body as well as your mind. We like choices. And spiritualists have a lot of different choices available to them. Especially at Leela Kovalam. “Therapeutic”: With this package holiday, you’ll get to cure many of the most common health problems. “Lifestyle”: With this package you will detoxify, de-stress and restore your spirit. “Wellness”: Don’t like getting old or being overweight? No sweat. This package help you slow down the aging rate and lose weight. Situated on the simply sublime Divar Island (which will make your jaw drop) the Devaaya, Ayurveda and Nature Cure Centre offers naturopathy and therapy to restore your spirit and passion as well as boosting your mental, physical, and spiritual health. 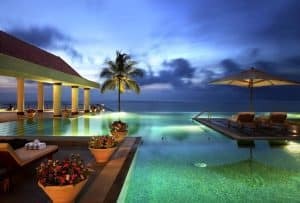 This is one of the very best places to go for vacation in India. They call this sublime locale the “Palace For Ayurveda”. And it is without doubt one of the best vacation destinations India has to offer. 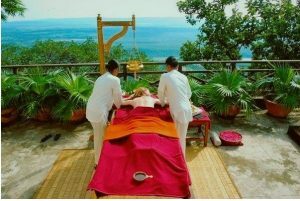 It is literally an ancient palace that has been restored and converted in to an Ayurveda centre. The interior is laid-out like an ancient ashram (monetary) and just as strict. This is the destination spiritualists should go to for big life changes. It prohibits meat, caffeine, leather, and alcohol. 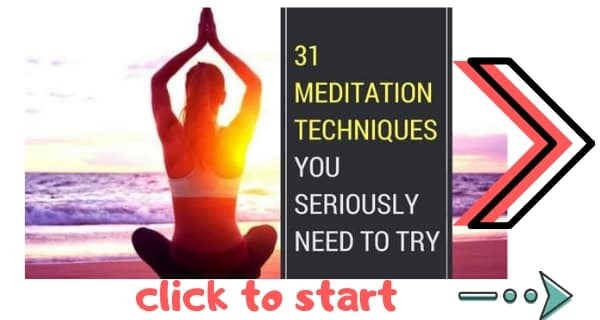 But in exchange for that sacrifice you will get a personalised holistic and Ayurvedic lifestyle that is custom-built for your individual health needs. At the foot of the Himalayas, beside the holy Ganges River, in the northern state of Uttarakhand, lies the beauteous city of Rishikesh. It’s famous for yoga and meditation. Ashrams and temples bejewel the vegetarian-utopia known as Rishikesh town. This is the ultimate travel destination for yoga. No spiritual vacation in India would be complete without a visit to this stunning yogi-heaven. Be sure to visit Prakash Yoga Ashram, which is Eastern yoga for the Western individual. Perfect. This is one yoga destination you must visit on your spiritual vacation to India. In the heart of Mysore in the southwestern state of Karnstaka lies the former capital of the Kingdom of Mysore. The heart of the city of the opulent Mysore Palace, a magi al blend of Gothic, Hindu, Islamic and Rajput styles. This city is the epicentre of Ashtanga Yoga and the home of the Ashtanga Yoga Research Cntre, founded by Pattabhi Jois in 1948. Osho has inspired millions of people around the world with his beautiful words and wisdom. His philosophy comes to life at the international Meditation Resort in Pune. 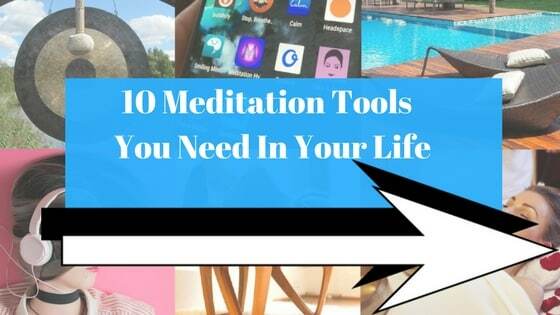 As anyone who has practiced Oshos meditations will know, they are not like other meditation techniques. They are more dynamic involving movement. So it’s fitting that the Osho International Meditation Resort includes movement meditations like Tai Chi and Qigong, as well as Zen archery. And that’s not even mentioning the Olympi-sized pool. This travel destination is a must for Osho fans. And let’s be honest, if you’re taking a spiritual vacation to India you want to get some Osho-action in, right? Bengaluru is capitol of Karnataka state in southern India and the centre of the high-tech industry. 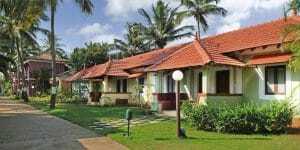 It’s also famous for its nightlife and parks, and for Th Art Of Living International Centre. Without question this is one of the best spiritual vacation destinations India has to offer. 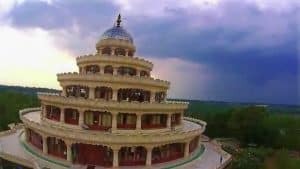 The Art Of Living International Centre advocates and teaches stress-free, peaceful living based on the teachings of the grand Vishalakshi Mantap. The meditation hall here is 65 acres in the Panchagiri Hills. Here you’ll be practicing yoga and meditation and also doing seva (voluntary service), which includes cooking, cleaning and office work. Igatpuri is a town and a Hill Station municipal council in Nashik District in the Indian state of Maharashtra. An absolutely stunning spiritual vacation destination for meditation. 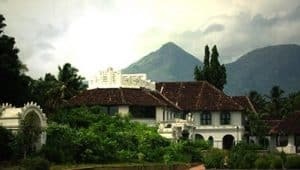 Here you’ll find the Vipassana International Academy, where you will learn many different meditation techniques including Vipassana. The philosophy of the academy is to eliminate dukkha to achieve purification. One of the most amazing things about the Vipassana International Academy is that it demands absolute silence. Even non-verbal communication is disallowed. The only communication permitted at the Vipassana International Academy is infrequent communication with a teacher. Do not go on a spiritual vacation to India without going here! This is what the palace looks like when it’s lit up for Diwali Festival Of Lights. 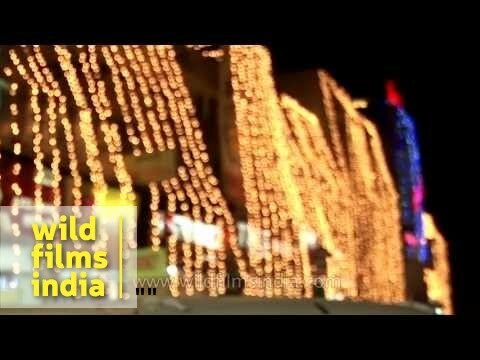 The festival of lights in India is one of the most beautiful events in the world as these photos show. Around the world (though of course mostly in India) Hindus will be celebrating the event, which coincides with their new year, and is usually marked by fireworks and by the offering of gifts in the form of fruit and nuts. But Diwali is far from just an Indian celebration. Seven in ten Indian Americans will celebrate Diwali, including Indian American Hindus and non Hindus. According to data from the Pew Research Center, 51% of Indian Americans identify as Hindus, 5% as Sikhs ans 2% as Jains. The remainder are Muslims (10%), Christian (18%) and non-religious (10%). According to the Pew research centre Hindus are only half of the people who attend the Diwali Festival Of Lights. Indian Hindus are the biggest demographic visiting the Diwali Festival of Lights from America. In India, Hindus make up 80% of the population. In India, many non-Hindus will also celebrate Diwali, The Festival of Lights. Join us in celebrating The Festival of Lights. Please share this page on Facebook and Twitter. Pack your bags! We’re going on a spiritual vacation in India! Imagine visiting all these beautiful, magical spiritual destinations in India. It would be an absolute dream come true. Guess I know where I’m going next year! I’m surprised you didn’t mention the four pilgrimage sites related to the life of Gautama Buddha viz. Lumbini, Bodhgaya, Sarnath and Kushinagara.